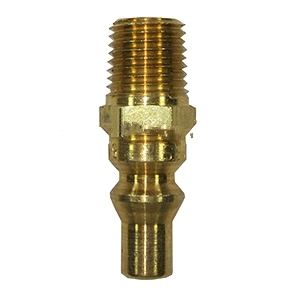 PRODUCT: PROPANE HOSE MALE QUICK-CONNECT FITTING, ALL BRASS, 1/4" MPT. HIGH PRESSURE TYPE (straight-through; fits high pressure quick-disconnect female propane fittings, 5LP-A-6 type). PRICE/EACH.